This is a diamond shaped Dixie Vim porcelain sign. 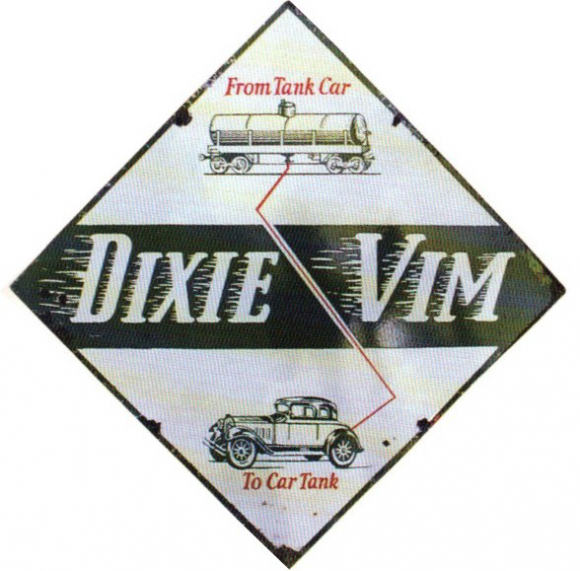 This particular Dixie Vim sign is predominantly white with a green sash across the center. It reads, “From Tank Car to Car Tank” and shows a red line connecting a fuel tanker car and a old car.